If you are planning a house relocation, then hiring a professional team of movers would be an apt decision. A professional house removal agency can make this whole relocation process a stress-free affair for you. And, you can focus your attention on something more important while the expert movers take every bit of care of the whole relocation work. However, let's discuss the key factors which make for a reason to hire apartment movers during your relocation to another city. A professional house removal agency will provide you with reliable services in terms of giving you a reasonable rate quotation for the work, packing the goods, and transporting all the materials to the new location. 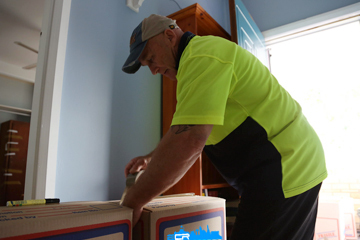 Moreover, the professional movers are trained professionals who know the correct technique to move the heavy boxes so as to ensure that these are free from any kind of damages. Hiring a professional moving agency will ensure accountability as in ensuring that all the goods arrive at the location safely. This is any day a better option than taking the whole responsibility of your own shoulder. A house move, conducted by a reputed agency will surely make the process is faster and you can settle into your new house at the earliest. This is because they are all trained professionals who use all the latest tools to effectively carry out the work. Professionally trained workers will bring in a lot of efficiency at the work making it fast and free of errors. All your household goods will reach the destination at the earliest and that too without any kind of damages on them. Also, your goods will be safe during the transit processwhen moved by a reliable apartment removal agency. This indeed will give you a lot of peace of mind and you will be glad for your decision of hiring the reputed agency. Now, if you are thinking of which apartment movers to appoint for the job, then Edinburgh City Removals is one such company which are very much reputed in the trade and can do a great job of transporting all your household goods during your house relocation process. You can contact them anytime and discuss your requirement for the house move. They will send in an expert to your house to assess the goods to be moved and then accordingly give you a rate quote.